It appears one of those guys was on his way back to the office after having lunch. What a great way to spend your lunch break! I wish I could have caught the first part of it though, it was way more intense and a lot funnier. 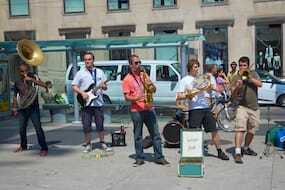 I’ve seen the Turbo Street Funk guys in front of the Eaton Centre before – they’re quite entertaining actually. 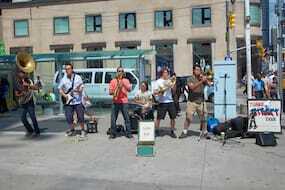 They must be if they can get two random guys to start dancing together on the street, no? 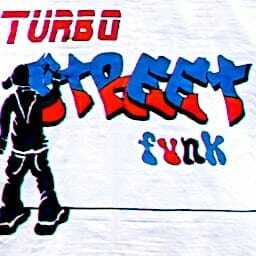 You can check out their website – TurboStreetFunk.com – to watch videos of them playing and find out more about their music. Random Dance Off — Turbo Street Funk was published on Saturday, August 10, 2013 at 11:00am EDT by Daniel Menjívar and last updated on April 11, 2018 at 9:30pm UTC .